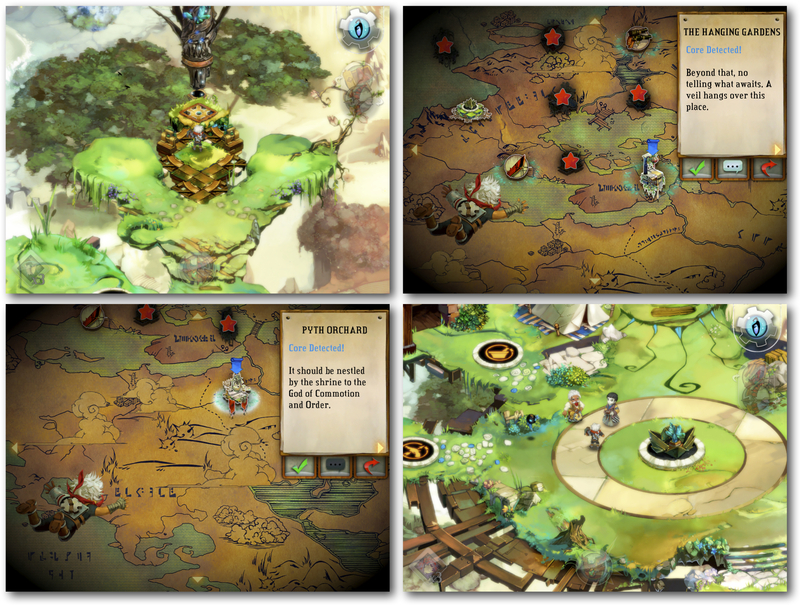 Bastion ($0.99 Universal, $14.99 Mac) is an adventure-based role-playing game where the main character, known as The Kid, unravels what has happened to his world following the Calamity. In this world you travel from place to place collecting artifacts in an effort to rebuild the Bastion. From an overhead, slightly angled third-person perspective, you control the movements of The Kid by tapping on the screen where you want him to go. For the most part, attacking enemies is automatic on touch devices as you move closer to them. When using weapons, just single tap on the enemy you want to fight. Weapons that fire, like your bow and handguns, will automatically go off when an enemy is in range. While attacking your foes is more effortless than challenging, evading an attack is not nearly as easy. You can double tap in a safe direction and The Kid will quickly roll in that direction, dodging any attacks. Buy you have to be careful, as the platform on which you are battling is in the sky: dodge too close to the edge and you will end up falling off. Backtracking and remaining constantly in motion helps keep The Kid in good health. The important thing to keep in mind is that when you are evading attack, you are not actually attacking your enemies. So they remain as strong as ever, and just keep following you around attacking you at will. The rich story line begins with The Kid waking up on a rock floating in the sky. One of the central characters of the story is also the narrator, and keeps The Kid on track fulfilling various objectives in the game. As The Kid walks around, the world around him magically forms, with rocks, dirt, buildings all starting to come together in a surreal fashion with each and every step. It is truly a unique and fascinating way to keep you wondering what is around the next corner. Eventually, you start discovering fragments know as Cores that can be used to reconstruct the Bastion. 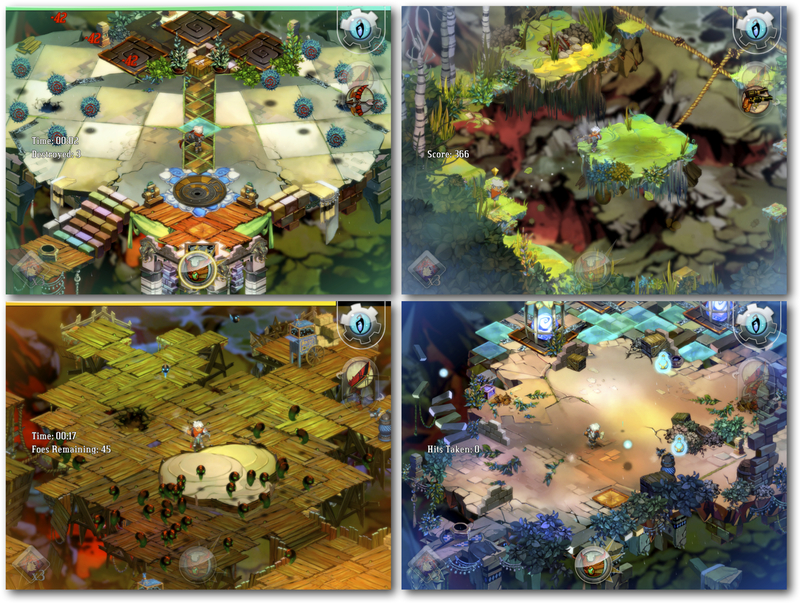 The Bastion is located at the center of The Kid’s world and is used as a portal to navigate around various levels of the game. This is also where you can build a home base tailored to your needs as a warrior. 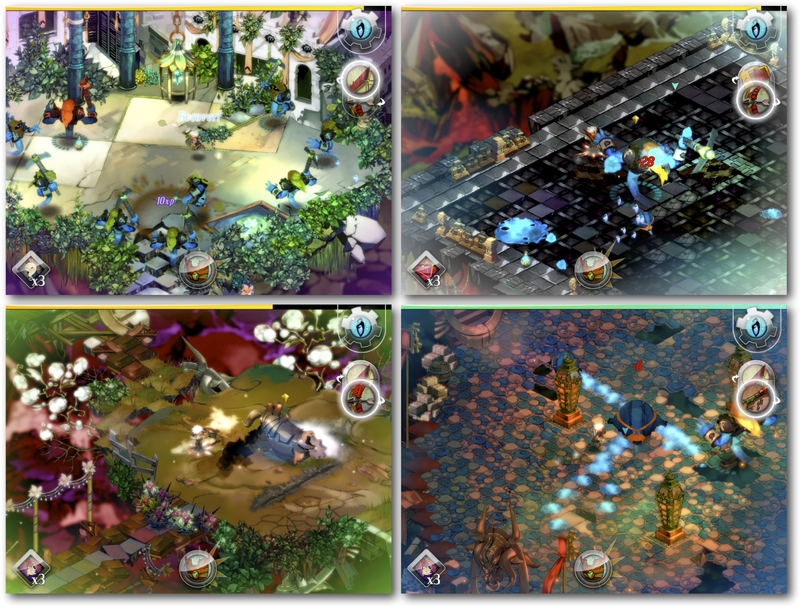 The ongoing quest within the game is to collect Cores, which in turn are used to rebuild the Bastion to its former glory. You also collect the blocks to construct other useful buildings, each with its own unique craft. With each level you pass, you always return to the Bastion to upgrade your weapons, use a core to build a new facility, or just pass through to the next challenge. You can control what weapons you use by switching out at the Arsenal, one of the buildings you must construct located at the Bastion. 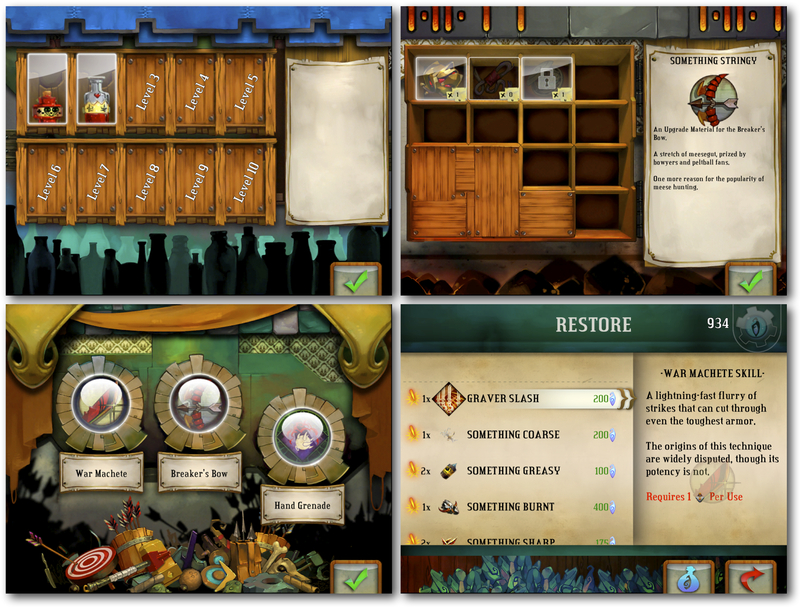 Each weapon is upgradable at the Forge, another reconstructed building, with various materials you find along the way. These reconstructed buildings are utilized to enhance game play and build on your character’s abilities. Not only do you choose what abilities and weapons to upgrade, you also choose the order in which you construct the buildings that are used to provide the upgrades. This helps tailor the game to your unique strengths as a gamer. There are even special proving ground levels for each weapon type that have challenges unique to each weapon. Achieve each challenge’s goal and you will unlock upgrades for that weapon. On your iOS devices(s AAPL), gameplay is synced via iCloud so you don’t lose your progress when switching devices. When playing the Mac version of the game, your gameplay is not synced via iCloud. Controlling the Kid is also a very different experience. You move and attack using the keyboard and mouse. The story, graphics and soundtrack are the same across all devices, and are what truly make this a great game to play any weekend on all of Apple’s platforms. I totally agree! I started to play this and now I cannot stop, it’s really well done and have such rich detail and awesome voice over, that you can’t but fall in love with it.